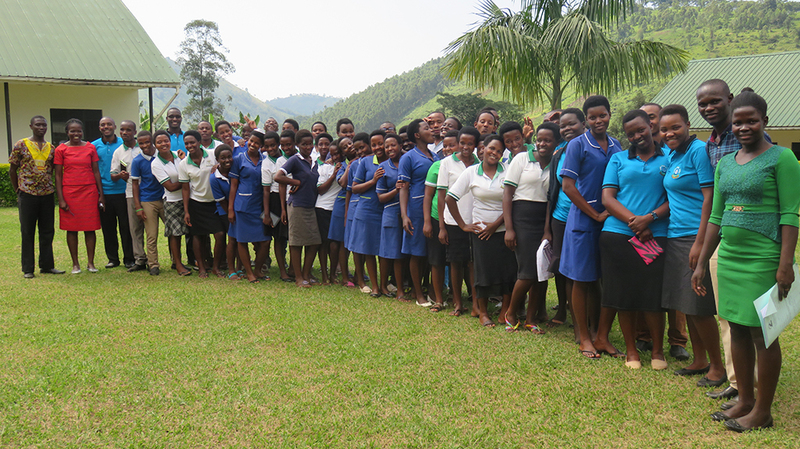 Uganda Nursing School Bwindi gives opportunity to the entire Students' body to exercise their leadership skills while studying at the campus by participating in free and fair democratic elections held by an independent Electoral Commission. We are very grateful for this opportunity which helps us to develop leadership skill, such that in the future, we may become great and useful citizens of our country Uganda, or even great future leaders as well. On behalf of the Guild Council and the entire students council of Uganda Nursing School Bwindi, I would like to extend our sincere greetings to all those who visit our website. We are overwhelmed with happiness and we hope you proclaim to the rest such that they don't miss a chance of joining us in the campus. The student council is therefore, led by the Guild president who is directed by a Guild patron for efficiency and effectiveness in leadership. The president has a vice, there is the Guild speaker and the Guild secretary as well as different ministries led by various ministers among which include, the Education, Religious, Health, Finance, Sports and Entertainment and Nutrition and Welfare as you will see in the chain of command. We are also proud to be affiliated to Uganda Christian University which is one of the best Universities in Africa. As you may have seen on the website, we are glad to inform you that UNSB is one of the modernized schools in the whole country where every Diploma student is given an iPad loaded with important textbooks such as Myles textbook for midwives among others. On the other hand, certificate students are given Kindles and the good news is that they will take them for their personal use even after completing the course at a very subsidized price. The iPad technology is not the only opportunity, there is also a sonography course running along, but unfortunately, it's only for Diploma direct entrants. Food here is amazing, don't miss being part of this. Ayebale Blessing, Guild President 2017/18. The journey of a thousand miles begins with one step. And that little step is our neighbourhood. And that neighbourhood must feel the presence of guild council activities at UNSB. It is headed by the chairperson and it's role is to organise free and fair election. Finance, Health, Education, Welfare, Religious affaires, Sports and Entertainment. Responsible for all matters concerning coordination with tutors. Communication is very vital while at Unsb if student has any issues that needs to be addresses it is passed through the immediate corespondent class representative or minister responsible for that ministry to guild council then to school administration and if it is to say that while at Unsb. Each ministry has a committee responsible chaired by the corresponding minister and is answerable to the guild council. While at Uganda nursing school there opportunity of forming clubs of your choice as long as you meet the registration legibility. Currently, the guild cabinet is studying the printer project in order to have to reduce over dependency and promote its sustainability.